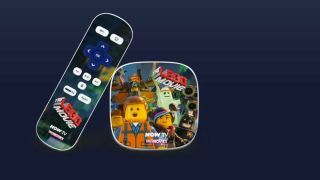 Sky has announced that special edition Now TV boxes will go on sale for Christmas, including a fetching Penguin, a Lego Movie tie-in and a glitter box that is possibly the worst looking electronic device known to man. The cheap little Now TV box continues to provide a great value streaming offering, with a host of offers from Sky to pick up a few months of its premium programming from sport to movies as part of a package. We were impressed with the Now TV when it arrived and that's still the case, although we are probably sizing up the glitter version as a potential secret Santa for our office nemesis. Now TV with a penguin or...OH MY GOD MY EYES!!! The boxes are available from http://www.nowtv/christmasbox and go on sale on November 24 for £9.99.